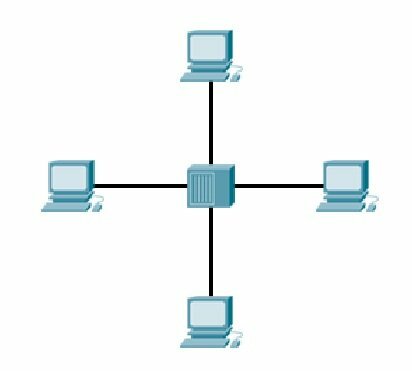 A computer network can be described as a system of interconnected devices that can communicate using some common standards (called protocols). These devices communicate to exchange resources (e.g. files and printers) and services. In the example above, the two computers are directly connected using a cable. This small network can be used to exchange data between just these two computers. Now all of the devices on the network can communicate with each other. We’ll talk more about hubs and switches in just a moment. For now, just remember that these devices serve as a central point to which all of the computers connect to.